What are the Benefits of Cyclofenil? Cyclofenil with popular brands of Neoclym, Rehibin, Ondogyne, Sexovid, and Fervour, comes in boxes with 16 to 30 pieces of tablets in doses of 100 to 400 mg for each tablet with 200mg of Fervour brand from Mexico, the most commonly available in the market. Cyclofenil is known as an estrogen, which works as a testosterone booster and anti-estrogen. It is an anti-estrogen, which binds to the receptors of estrogen that prevents the stronger estrogens from damaging the body due to the steroid cycle. Because it helps in producing testosterone, it has the same action as Clomid, HCG, and Proviron. It further increases the normal levels of testosterone up to double the normal level of dosage of just 100 mg in a day. 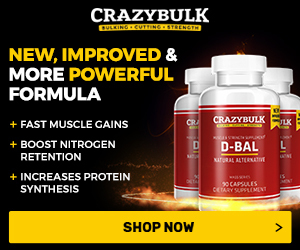 It works well that it is used by a number of people while in the steroid cycle to maintain a low estrogen level not to mention some additional effects. It keeps the level of water retention lower than the normal as well as give a stronger physical appearance, therefore making this item a possible pre-contest item in itself. Cyclofenil will also provide slight gains in strength and body weight and an increase in the level of energy and quick rate of recovery after the training. This product is becoming a favored post cycle testosterone medication for recovery. The number of side effects of this product is very small too. You could get a little bit of acne or two more boners; this considered as a side effect because of it beyond the normal. Must Read: Is Post-Cycle Therapy (PCT) Really Necessary? An average dosage is at 400 to 600 mg in a day. A lesser amount of dosage is not considered a generally effective dosage; you possibly just don’t feel the product working when it is given in that low dosage. The average price of this product is about $40 for every box of 16. In Mexico, this product will be costing you an amount of $18 to $19 for every box. Generally, this is considered as among the harder products to find in the market. This is a good pre-contest item and an effective product for increasing the levels of testosterone while at the end of the cycle. Cyclofenil is considered the least known among those three Selective Estrogen Receptor Modulators or SERM that are being used today in athletics. It is a known fact that SERM’s can cause the women’s ovulation and the increase in testosterone as well as the other useful hormones. This product efficiently works through the stimulation of the effects of the testosterone by preventing negative feedback loop that is caused by the estrogen in terms of the production of testosterone. In turn, this will cause the increase in the secretion of the Gonadotropin-releasing hormone that will also increase the Luteinizing Hormone output, which in turn will also increase the testosterone secretion from the testes. Must Read: What Luteinizing Hormone Values Tells About Natural Testosterone Production? Because it is a SERM, this compound will avoid the gyno through binding it to an estrogen receptor in breast tissues, thereby avoiding the more potent estrogens from binding with those tissues. This seems like the same activity with Nolvadex and Clomid. The results will show that cyclofenil has a couple of opposing activities on the axis of hypophyseal-hypothalamic, among them is an estrogen-like, which depresses the levels of serum FSH and strongly binds to the breast tissue, which is considered good, while the other one is anti-estrogen-like, which depresses the levels of serum PRL as well as increases the LH levels. The overproduction of the prolactin is going to suppress the testosterone and can increase the lactation in the male breast tissue. An amount of 400 to 600mgs per day will be an adequate dosage for use during the Post-Cycle-Therapy, or even during the cycle. Twice as much could be needed when it is compared to the Clomid, or twice as often. Because of its relative unavailability and cost, if compared to some other SERM’s like the Clomid and Nolvadex, this product may find some difficulty to come towards the additional systematic plan for the individual therapy. If used after the steroids in order to increase the natural production of testosterone, it could be effective. A dosage of around 400 to 600 mg in a day is most common, used for about 4 up to 5 weeks after a steroid cycle. It may take some weeks before the Cyclofenil displays a notable effect, and thus, HCG is typically mixed with it during the initial week or two. The HCG will also help to quickly revive the capability of the testes to react to the endogenous gonadotropins, that could be greatly lessened because of the duration of long inactivity. Cyclofenil must be continued alone right after, along with the complete duration of additional drug use that will last for about five to six weeks. It must also be indicated that a few athletes have tried by using Cyclofenil not being as the post-cycle additional drug, but as anabolic alone. These athletes are actually hoping that the levels of testosterone can be increased greatly enough for it to give a little additional muscle mass. Others have reported that the said approach actually works, but the results are not greatly important. 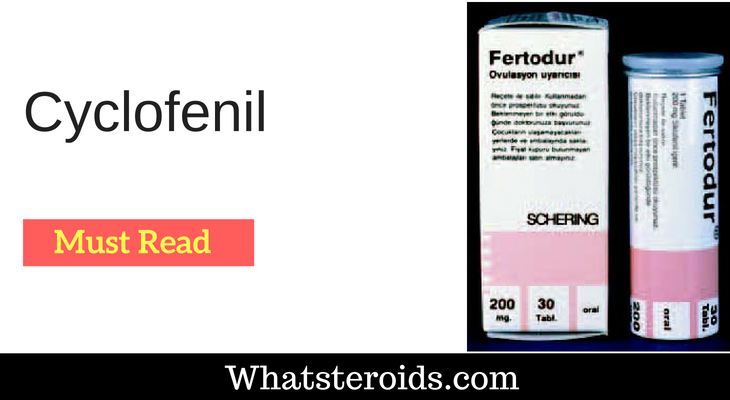 Anyone who is familiar with the anabolic would possibly be disappointed if using Cyclofenil for such purpose, that is certainly not the same with testosterone injections. The side effects related to this product are usually minimal and that often felt by female recipients. The primary side effect experienced by females are said to be the hot flashes because of hormonal changes. For men, the properties of testosterone boosting may lead to other androgenic effects such as acne, increased libido and aggression and oily skin. These effects are not dramatic, as the androgen levels are not going to reach the level which is apparent with most steroids. In the U.S., the Cyclofenil is considered not as an overly known product. It is brought on occasions by its dealers, but it is quite less common in the U.S. than Nolvadex or Clomid. In the U.S. it is typically in the Fertodur form, manufactured by Schering in Mexico and formerly in Europe.